Raya Maysoon is the oldest granddaughter in her family. Where she’s from — Sakhnin, an Arab city in Israel’s Northern District — this is the fact that matters. As the first girl of a new generation, she has completely changed her society, giving marginalized women a place at the table and even in government. None of her aunts had gone to college; they all got married at 16. But Maysoon wanted to do something different. Since she was a child, Maysoon helped her friends study. “I would buy them presents to motivate them to do well,” she told me. After high-school, Maysoon wanted to go to university, but her father didn’t approve. “He wanted me to be a teacher. But I wanted to be a social worker,” she told me. Maysoon got him to agree to her studying at Haifa University. In the middle of her studies, she changed focus in order to reduce the years she needed to earn a degree. She switched to studying special education. “Then I met someone and got married,” she told me. “My father didn’t want me to marry.” But once again, she convinced him. Maysoon became a teacher, but her marriage fell apart. And her divorce is where her real story begins. Maysoon told me how it is shameful to seek a divorce in traditional Arab culture. Her family disapproved — vigorously. “In this culture, a woman who asks for a divorce is destroying her family,” she explained. Eventually she did find these courses, participating in programs about teaching art, meditation, and any other subject she could find. “I invested in myself,” she said. In 2008, Maysoon attended a two-year course on Jewish and Arab leadership designed to improve the lives of women in the Galilee. She spoke of the difficulties divorced women faced, not only financial but also in terms of status in society. Maysoon received a grant and went on to create a community of divorced women in Sakhnin. She brought in friends to run workshops and eventually her group became an NGO, the Arab Single Mothers Forum serving divorced and widowed women. But at the outset, they encountered resistance. It was unseemly, according to their community, for divorced women to have an organization. “We are not cast offs. Yet that is how we were treated. We had to make a decision,” Maysoon told me. “Are we needy, or are we going to change society?” They chose the latter, determined to change the way society saw divorced and widowed women. Using their skills, the women began offering tutoring services and used the money to support the organization. These courses provided services and showed that they were integral to the community. All the while, the women learned skills and empowerment, and their children begin to feel like a normal part of society. As they empowered the women and children, so too, they changed their community and the way it viewed women. 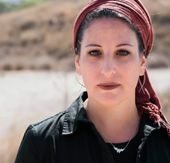 Given that Globes named her one of the 30 influential women of Israel, people are hearing her message. This story "Israeli Woman Starts NGO To Helped Other Divorced Women" was written by Shoshanna Keats Jaskoll.